©2019 ABC News Internet Ventures. All rights reserved. Disqualified Season 11 contestant joins suit by 10 black ex-contestants. camera (FOX via Getty Images) Contestant Jermaine Jones performs onstage at FOX's "American Idol" Season 11 Top 13 Live Performance Show on March 7, 2012 in Hollywood, California. 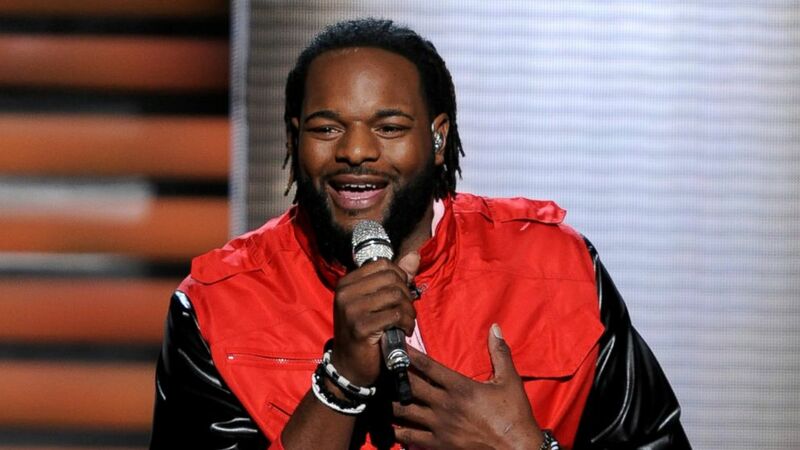 Jermaine Jones, who was disqualified from "American Idol" during Season 11 for having outstanding arrest warrants in his home state of New Jersey, is joining a racial discrimination lawsuit filed in July 2013 by 10 black former contestants. "I was and continue to be appreciative of the opportunity to perform as a Top 10 contestant during Season 11 of 'American Idol,' which was once considered the world’s biggest stage for up-and-coming recording artists. And I wanted to believe that my humiliating public disqualification in March 2012 was just part of the show and an experience that could be internalized and ultimately forgotten. But I realize now, with the support of my family and friends, that Equal Rights under the law (or in this case, under contest rules) is something we must always strive for and never take for granted," Jones, who was booted during the Top 12 round, said in an exclusive statement to ABC News. He continued, "I am therefore honored to join my fellow brethren in their continuing struggle to enforce this Nation’s Civil Rights laws against the powerful forces who discriminated against top-ranking Black American Idols for more than decade." Jones added that he did not sign up for the show to be "falsely portrayed as a thug or a 'gangsta.'" Attorney James H. Freeman, who represents the 10 plaintiffs and now Jones, filed a motion for permission to amend the lawsuit today to include the 27-year-old singer who had been dubbed the "gentle giant" for his resonant baritone voice and 6'8" frame. Daniel Petrocelli, the attorney who represents FOX and the show's production company, 19 Entertainment, declined to comment. Jones was previously quoted as saying he wanted no part in the lawsuit, even though the plaintiffs had argued that his disqualification was the most recent example of a "pattern and practice" of discrimination by the show against black males. The $250 million suit argues that producers over the course of 10 years have practiced a pattern of racial discrimination that stems from using black male contestants' arrest history against them. The suit points out that 31 percent of all "American Idol" semi-finalists who were black males were disqualified for reasons "unrelated to their singing talent." Moreover, the lawsuit adds that, over the course of 10 years, "there has never been a single white (or non-black) contestant disqualified from 'American Idol' -- not ever." FOX and the show's producers have denied any discrimination, pointing out that 33 percent of, or four out of the past 12, winners, including last year's Candice Glover, have been black or biracial. The judge is currently considering the defendant's motion to dismiss the suit, Freeman said. While the suit was moving forward, Jones is trying to move on with his life and resume his singing career, the source close to him said. In addition to performing in and around New Jersey, Jones has appeared in a play and an independent film and done some motivational speaking. But the source close to him said he's been unable to put the experience on "Idol," especially the very public exposure of his criminal past behind him. Jones, the source said, began having nightmares and panic attacks about the moment in March 2012 when he was confronted on camera by former "Idol" producers Ken Warwick and Nigel Lythgoe for not revealing his criminal history. The show aired the confrontation and Jones being shown the door. Jones later told People magazine that he had previously disclosed his legal troubles, all for minor offenses, including giving false names to the police. He said the show did an extensive background check and even told him to hire a lawyer to take care of some fines. Following his exit from the show, in July 2012, Jones cleared up his legal troubles, by pleading guilty to one charge of giving a false name, for which was fined $200. Another charge was dismissed, Freeman said.